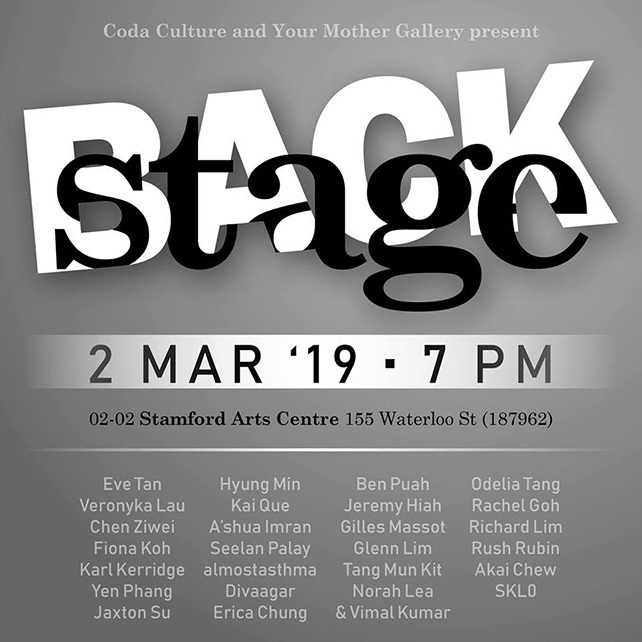 Following the cancellation of Art Stage in Singapore this year, Coda Culture and Your Mother Gallery present Backstage, an exhibition showcasing all the works that were meant to be seen at the fair. Opening: 7pm, 2 March 2019. Exhibition: runs 5pm – 9pm till 10 March 2019.